Got old items lying around the house that you are just ready to toss out? Before you do, consider upcycling them into beautiful home decor. With simple everyday items from old picture frames to clothespins, there are a myriad of projects to pursue. 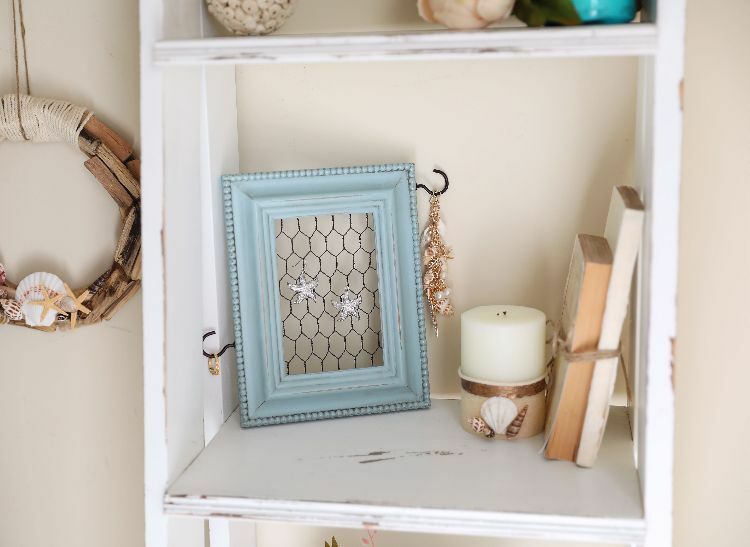 In this project above, the addition of hooks and some chicken wire transforms an old photo frame into an ideal jewelry holder. The chicken wire makes for an easy place to hang earrings, whereas the hooks are a prime spot for bracelets or necklaces. Although the light blue paint gives the jewelry holder a quaint look, opt for a bright color if you want to make a bolder statement. From simple and neutral in tone to ornate and metallic, picture frames come in a variety of styles and colors. In addition, they are both inexpensive and easily accessible because they can be found in many stores, including thrift stores and dollar stores, as well as at garage sales. Check out these picture frame upcycling ideas. Believe it or not, the above picture is a DIY clothespins sunburst votive. 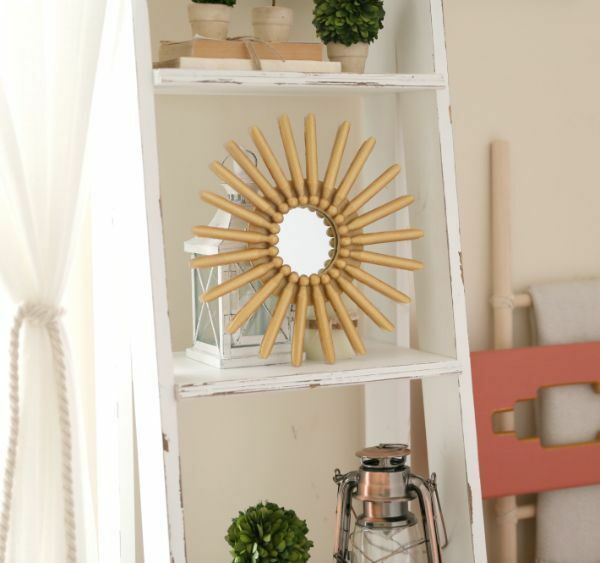 This clothespin sunburst mirror is so cheerful. Painting it gold adds a lustrous shine to the project, but you could easily paint it any color. If you don't need a new mirror, you could also copy this idea to make a fun new photo frame. Doesn't the end result look like it could be in Pottery Barn or West Elm? Clothespins are great for keeping your laundry on the clothesline, but that's not all they can be used for. 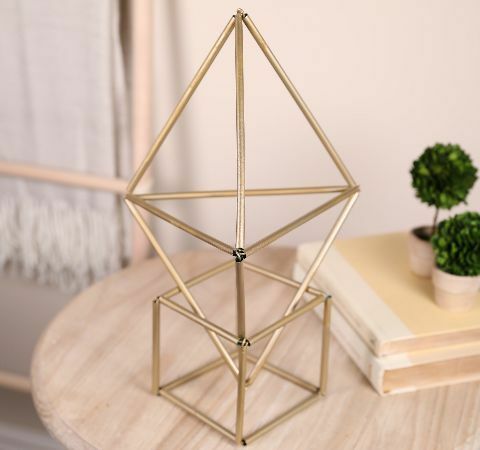 They're an ideal way to add a bit of extra flair to home decor items when transformed into votives, magnets, mirrors and more. Check out these clothespin DIY ideas. 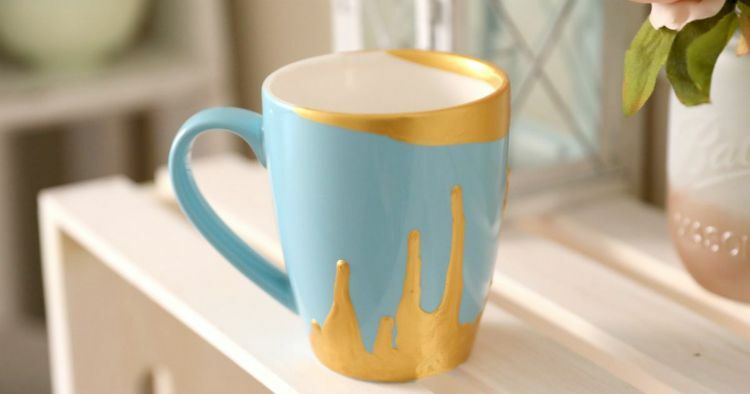 Effortless and elegant, this gold dipped mug pictured above should take no more than 10 minutes to create, but allow it to dry overnight for the paint to harden completely. Be sure to mask off the rim and the inside if using the mug for beverages. Customize coffee mugs in your collection to complement your home or personality. Dig through your own cupboards for coffee mugs to transform, or head to discount and thrift stores for budget-friendly options. Check out these top mug DIY ideas. Add a personal touch to inexpensive flip-flops, using fashion buttons of your choosing. The straps should be wide enough for the buttons to firmly adhere, and the buttons should be big enough to cover the straps. Flat or shank buttons work for this project, so go ahead and pick your favorites. Whether it's a grandparent's stash or one you started long ago, extra buttons are useful for adding colorful touches to crafts. Interested in more? Check out these top button upcycling project ideas. 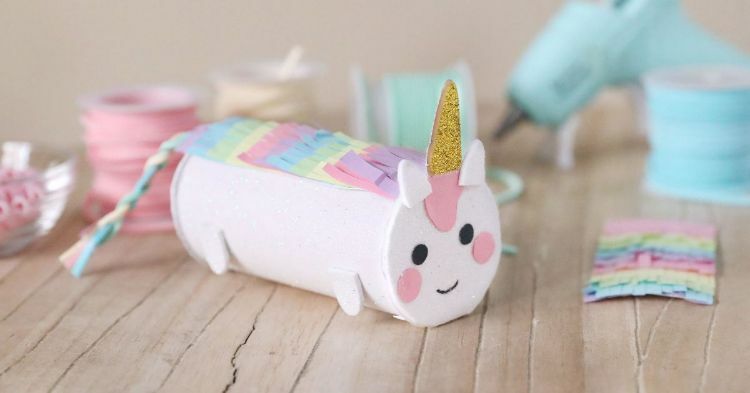 Any child living in a room decorated with unicorns, fairies and butterflies will love turning a cardboard tube into a colorful one-horned friend. Set the unicorn on a bedside table or desk in the child's room. White shelf liner or contact paper is the secret to making this craft a breeze and keeps little fingers from getting too messy. It's likely the word "toilet" will elicit giggles from any young child, but fun is the name of the game when it comes to these crafts made from empty toilet paper rolls. Some steps in the projects require adult supervision or should be done by an adult, such as hot gluing and cutting (depending on the child's age). Check out these toilet paper crafts. 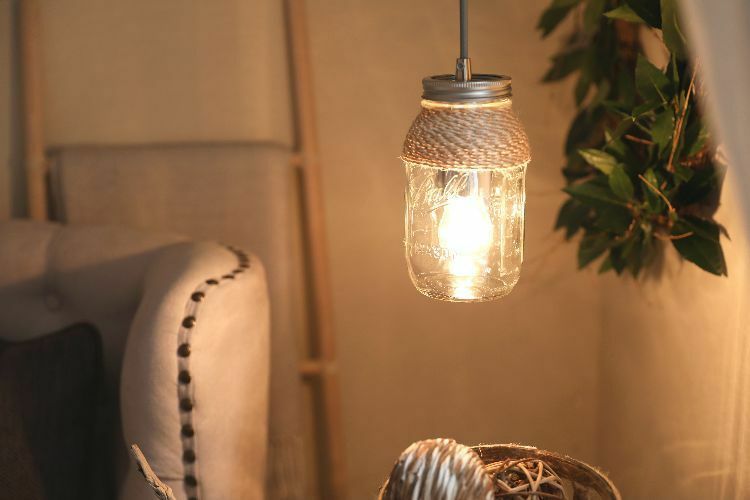 The mason jar pendant light, pictured above, is such a pretty way to light up your living room or your bedroom. It would work in any space that's not big enough for a floor lamp, and the twine gives it just the right amount of rustic charm. 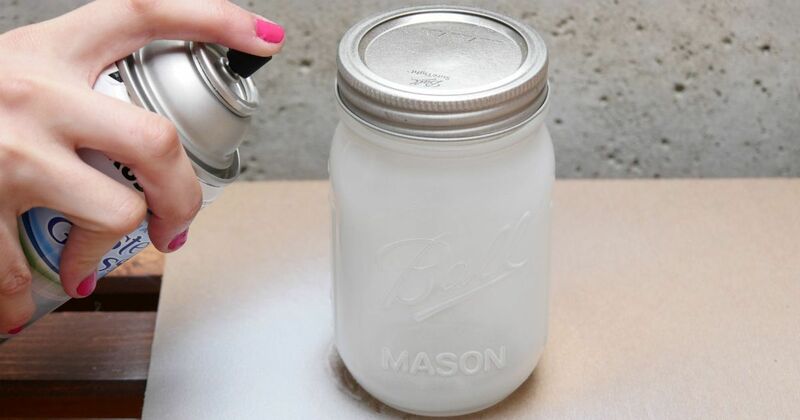 This isn't the only project you can make out of a mason jar. Mason jars are one of the most versatile craft supplies out there. They can be turned into so many cool things, and they're cheap and easy to find whether you buy them from a thrift store or a grocery store. For instance, did you know you can turn one into a beautiful rustic lamp like the picture above? If you want more inspiration, check out these stellar mason jar DIY ideas. Pearls are classic gems that often represent maturity, elegance and tastefulness. In the craft above, use fake pearl beads to turn a plain bobby pin into one that looks classy with any hairstyle. Plain and not embellished, bobby pins either are camouflaged in one's hair or they look like long metal staples. It doesn't have to be that way. This DIY project list include ways to upgrade bobby pins so they look more attractive as an accessory, as well as some crafts that have nothing to do with hair. 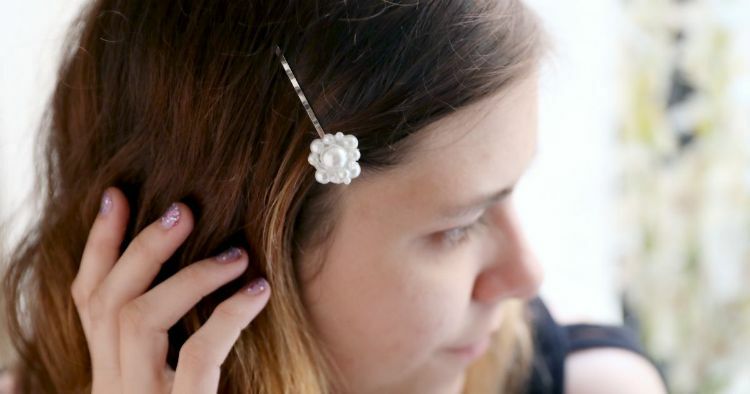 Check out these creative bobby pin upcycling ideas. A coffee can transformed into a functional work of art? Seeing is believing. Classy with a vintage vibe, a decoupage accessory for the kitchen is the final result of this project. Embellish a tin can with a favorite design, and decorate a matching lid. It's easy to create these DIY crafts when you have spare tin cans around the house. Fun and practical, learn how to create pencil holders, grocery bag holders, a craft caddy and more. These inexpensive projects are quick and easy -- they can even be given as gifts! Check out these top tin can DIY ideas. It’s hard to believe a soda can holds the potential to transform into a delicate bracelet perfect for accessorizing any outfit, like the one pictured above. 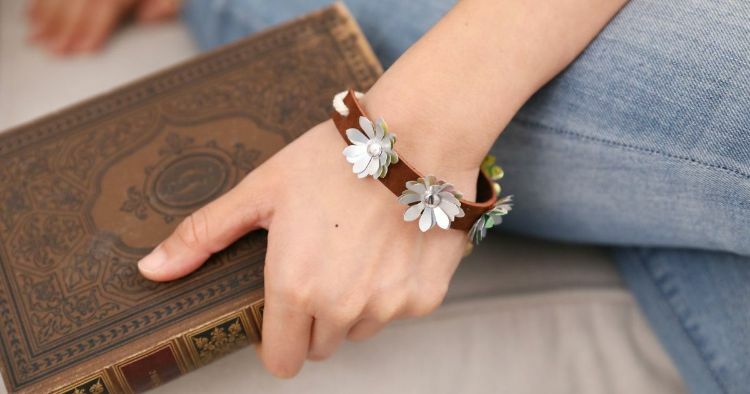 Aluminum petals are lovely details when attached to a stylish leather band. Instead of throwing aluminum soda cans out, consider repurposing them into entirely new items. Their basic shape and material make them so versatile for creative crafting. Check out these top soda can upcycling ideas. Upcycle a square tissue box into a chic ribbon holder. This project ensures that spools of ribbon will never be far-flung in closets or hidden in junk drawers again. 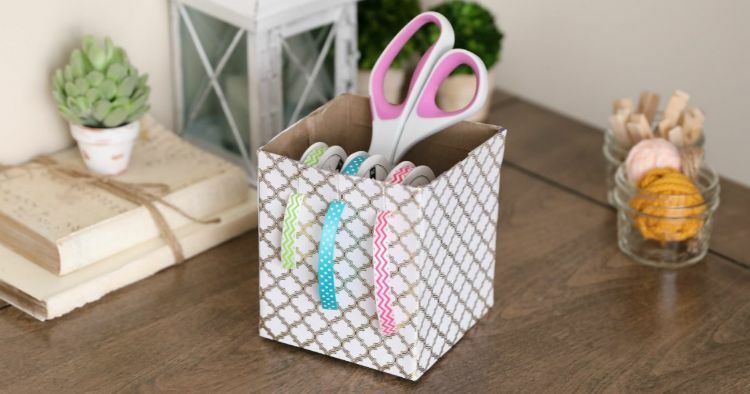 The box is also a convenient place to store scissors and other trims all in one place. Initially, a simple tissue box seems strategically geared for only a single use. After you take the last of the soft pieces from the box, it’s logical to toss it; it’s disposable, after all. But not so fast: these boxes are poised for potential repurposing. 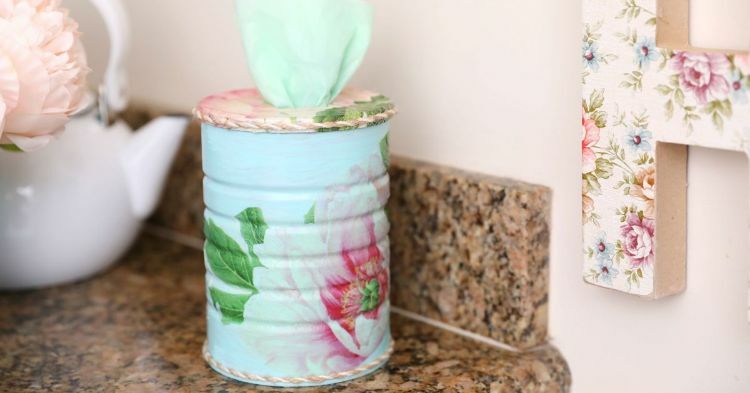 Be sure to check out these top tissue box DIY ideas. Believe it or not, the decorative geometric object above is made out of straws. It is perfect for any room that needs a sleek and modern touch. Prop tip: When painting the shapes, be sure to paint all sides, including underneath the elastic. You may have to hang the shapes in different ways to be able to fully coat them. When you think of DIY supplies, many things probably come to mind: spray paint, power tools and fabric. But what about using more unconventional items? Although straws may make you think of drinks accompanied by little umbrellas, they can actually be used to make some awesome DIY projects. Check out these top straw DIY ideas.